Sony announced the Playstation Vita with AT&T 3G more than seven months ago, but never bothered to explain how the data plans would work. Now, it’s official: the Vita will come with the same data plans you already get with smartphones. That means 3G for the Playstation Vita will cost $15 per month for 250 MB, or $25 per month for 2 GB, in addition to the $300 price of the 3G Vita itself. (A Wi-Fi only model will cost $250.) Both data plans will include unlimited access to AT&T’s Wi-Fi hotspots, of which there are 29,000 around the United States. 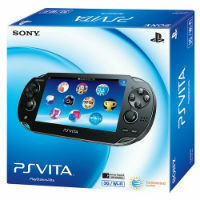 The Vita launches on February 22 in the United States. I’m disappointed that AT&T and Sony stuck with conventional data plans for the PS Vita. This would have been a great opportunity for AT&T to launch a shared pool of data among multiple devices–something wireless carriers have talked about doing for some time. I can’t imagine a lot of people will want to pay a recurring data charge just for a gaming device, especially when you get the same result by using a smartphone’s Wi-Fi hotspot feature, which would also allow for faster 4G data and connectivity with other devices. Sony and AT&T are hoping to lure people into paying for data plans by offering exclusive in-game content when players check in at certain geographic locations. We may be able to judge the 3G Vita’s success based on whether game makers continue to produce these kinds of exclusives long after launch.